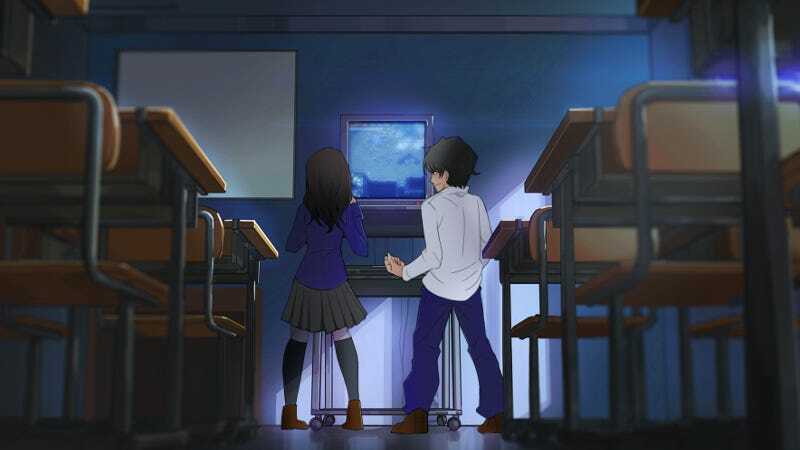 It might seem odd that a visual novel ends up being one of the best pieces of media about esports and pro gaming. But one reason why Team Eleven’s SC2VN stood-out is because writer TJ Huckabee is fascinated by the grinding heartbreak that most aspiring pro gamers will experience throughout their careers. “People just assume life as a progamer is glamorous. And, yeah, if you’re a West Coast League of Legends player getting paid by Riot, it kind of is. At least as long as you’re doing well. But for everyone else, unless you’re winning these tournaments? Life is so hard,” Huckabee said. Another member of Team Eleven sent Huckabee a quote last week that he fell in love with: “You make your career based on destroying other people’s dreams when you play StarCraft professionally.” It encapsulates another of his favorite themes: the zero-sum nature of pro-gaming. SC2VN focused on the experience of a middling, non-Korean StarCraft player struggling to stay afloat in Korea in the early days of StarCraft 2. Don’t Forget Our eSports Dream shifts its focus to the height of Brood War by looking at the backstories of two major SC2VN characters: Bolt and Jett. Jett was the demanding-but-kind leader of your character’s team of super-friends in SC2VN, one of the best players in the world and a star in her own right. Bolt, meanwhile, was the mustache-twirling villain of the story. Don’t Forget Our eSports Dream finds them at an earlier point in their lives, when they are still trying to make something of themselves following major setbacks to their Brood War careers. The game is ultimately about the diverging experiences and views of the two characters, who are childhood friends. But the story is told from Bolt’s point-of-view, in part because Huckabee felt they owed a debt to the character after SC2VN. Bolt is meant to be more illustrative of the long-term toll of chasing a dream, and the ways it can become toxic. His character is driven by a need to find meaning in the fact he barely makes any money and trains for over 12 hours a day just so he can be a practice partner for his more successful teammates. It’s a crucial bit of backstory for a character who seemed needlessly cruel and arrogant. Not that he needs to become that way. Huckabee says that Don’t Forget Our eSports Dream is not as linear as SC2VN, and it’s not set in stone that the Bolt who emerges from that story will be the haughty jerk who drove the action in SC2VN. One of the interesting things about SC2VN, for Huckabee, was that it resonated with a lot of people who have never touched StarCraft. It was a way of bringing to life a subculture that remains fairly impenetrable to a lot of people. Huckabee and his team want to do the same thing with Brood War in Don’t Forget Our eSports Dream. Don’t Forget Our eSports Dream is currently on Kickstarter. Huckabee aims to deliver the final game next May.